Speaker Management - soundseeder.com | Play music simultaneously on multiple devices. 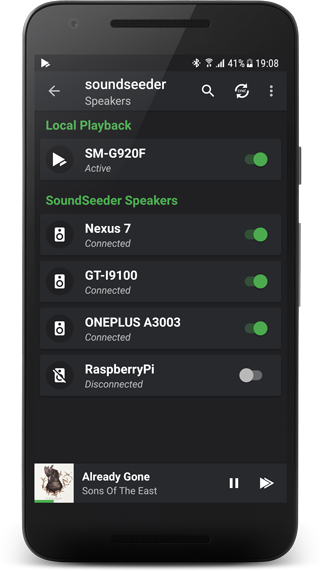 The dialog shows all discovered SoundSeeder Speakers in your network. After your devices have been discovered, you can manage the playback parameter for each speaker. Select a speaker entry, to dis-/connect it or to change it’s settings. Offset: Change the speakers playback offset, if the playback of this speaker is not perfectly synced with your player.